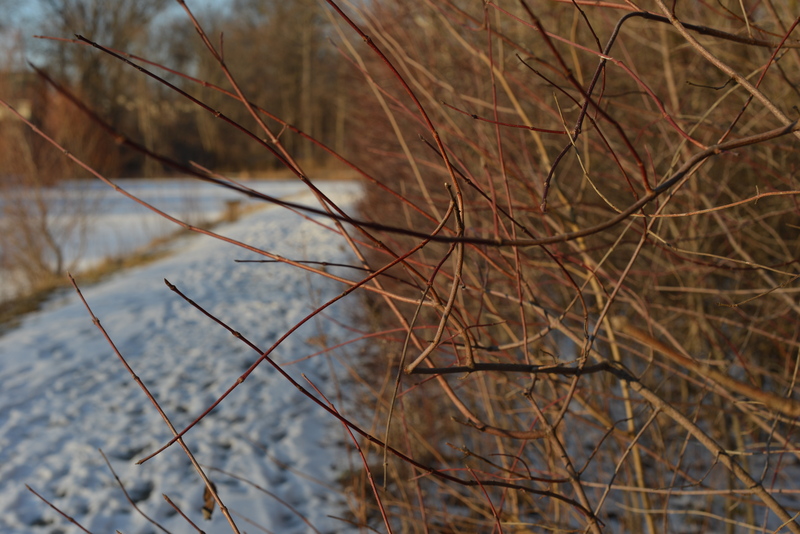 This entry was posted in Photos and tagged branches, bush, color, nature, new, nikon, outdoors, photo, photography, red branches in winter, winter on January 27, 2016 by some bad plankton. i’m moving across the country soon. did i mention? My father has never been happier. To take a year of her life and work for the good of the country. First time he’s ever seemed full of pride since I graduated. He’ll be able to make so many sermons out of this. That I had a sensitive head. She didn’t think someone like me would be so soft. To this day, I still have no idea what she meant. Like I was a hairsbreadth away from crashing. Some days, I think, I’ve lived my whole life like that. From walking in front of that car. I’m sitting with my arms pinned in by people talking loudly on either side of me. We’re in a basement of a crowded place, there’s alcohol, and the social necessity to talk. Sitting on those kind of benches from 8th grade lunch. It would take me a solid thirty seconds to get out. I don’t like when people know things about me. I don’t know what you’ll do with it. Why am I so bad at the things I think I should be good at? I want to be quick, nimble, and fast. But I feel slow all the time. Behind, outdated, frumpy, and slow. And went to work Monday morning. And my sense of right, won’t let me do a bad job, at my job. Even if they deserve it. I told my sister once that she was selfish. I think it was the only time I ever hurt her. Expecting me to apologize, take it back. It’s a pain I don’t mind causing. Because it’s as true today as it was years ago. That I can have my pride on this one point. This entry was posted in Poetry, Writing and tagged driving, everyday poetry, family, life events, new, panic attacks, parents, poems, poems from my day, poetry, sickness, suicide, work, writing, written on January 27, 2016 by some bad plankton. I’m so glad to hear you say that. Would have stood up to this before now. Instead of dying of heat disease. I’ve needed the help of my mother. Write my first two-weeks notice, and tell me it’ll be ok. They won’t know her without wrinkles, skinny. They won’t see all the cuts and bandages she’s put on me. And soon I’ll be the only one who knows about those too. But, then again, I’m hard to upset. I’m fine with you on nodding along. I say hi to the cleaning people. Or trying to do right. Or to prove I’m righteous and good. I might say hi to them, because they’re the only people lower on the totem pole than me, and they have to be nice to me, which is a change. When I’m about to lose my lane on the highway. Otherwise, I’d start to feel mundane. I think I’m developing a stutter. I make myself so nervous. I try to get everything out perfectly. So I can’t be at fault. I’m even stuttering in my mind. She said, I literally just turned this on, this second. She’s nervous. She thinks I think all she does is watch tv. I don’t mind, or judge. I’ve been there. I try so hard to be a non-passer of judgment. Especially as it relates to people I like. I budgeted this month correctly. I can buy sunflower seeds and saline nose spray. I put the 10% in savings, and the 250 in retirement. And do all my dishes. I’ll start to see the warning signs. When it’s all too clean. This entry was posted in Poetry, Writing and tagged 1-22, everyday poems, free verse, growing up, life, love, parents, poem, poems, poems from my day, poetry, short, social media on January 21, 2016 by some bad plankton. This entry was posted in Photos and tagged colorado, lens flare, mountains, nature, nikon, outdoor, photo, photography, weeds on January 21, 2016 by some bad plankton. Because she never played sports when she was younger. She has no bad, bum knee to contend with. I don’t have any wounds to take with me. Then you stare at me. I might be able to finish a math problem. You can’t give me those restraints. Give me time to think about it. For being out of it. Made it part of why you should like her. White, female, from a rural area. I felt the need to change. Ways I could have been smarter. And are, by all accounts, turning out better. I’m going to be outdone forever. I should do my own thing and be proud. It’s hard to be proud when you want to be someone else. This entry was posted in Poetry, Writing and tagged 1-5, new, poem, poems, poems from my day, poetry, short, writing, written on January 6, 2016 by some bad plankton. I wasn’t used to being on my own. And told you I’d be fine. And pretend to be the panda driving. I found the panda, older, and no longer black and white. His nose had popped off a bit. So I threw him away. She can’t do it on her own. Then she just looked at me. He’s got an instinct in him that says protect. I’ve got to tell them I’m moving. A real, solid, ivy-growing base. They didn’t like me for me anyway. I met a friend’s father. Maybe I’ll like my friend better in twenty some-odd years. I like the man his father is. A good-people kind of good. Then cried about how hard it was being with my family again for Christmas. Oh, it’s been so long. I cried to my mom over the phone, while telling her it was fine, it was all fine. What’s he going to do when you go back? You made the choice to move. Just like you did to me. What’s he going to do when you leave again? Pieces. I’ll watch another one of your puzzles try to reassemble themselves. This entry was posted in Poetry, Writing and tagged new, poems, poems from life, poems from the end of december, poetry, short, writing on January 3, 2016 by some bad plankton.